I hear it in the tone of their voices. Things are about to go to hell in a handbasket and I really don’t have the energy to deal with fighting kids this afternoon. I don’t have the energy to deal with anything, but I still need make dinner and hang the washing so before things get out of hand I grab some paper, a couple of fine line markers and some highlighter pens and dump them onto the table. Instead of punching each other the boys wander over and take a look, and it’s not long before they are both sitting at the table drawing. Thank goodness for quick and easy drawing activities! 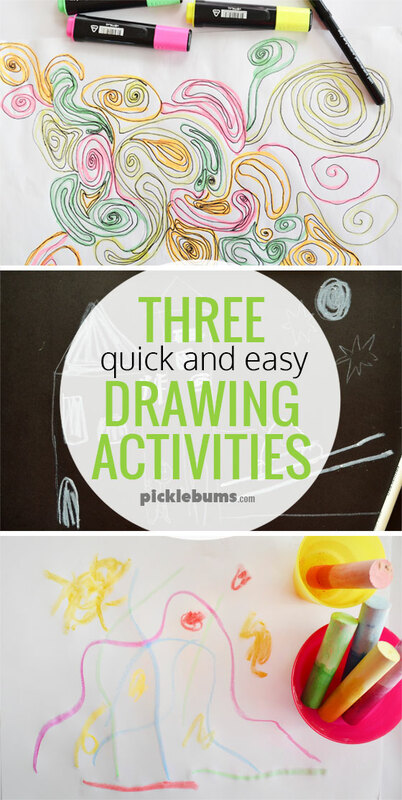 Easy drawing activities save my sanity time and time again, and these three simple invitations to draw are some of our favourites. The key thing about these three activities is that they are quick and easy to set up, to do, and to pack away. No fancy equipment, minimal mess, and minimal supervision. 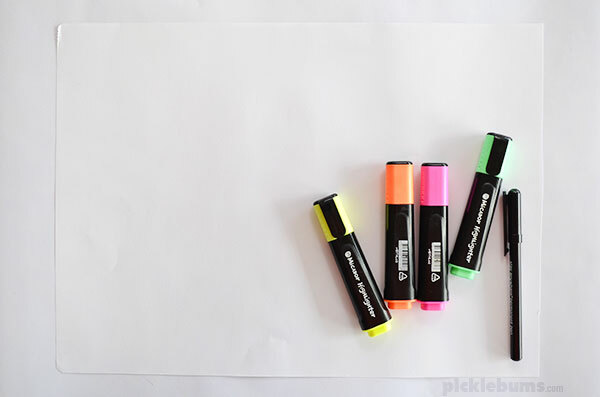 Have you got a couple of highlighter pens hanging around? 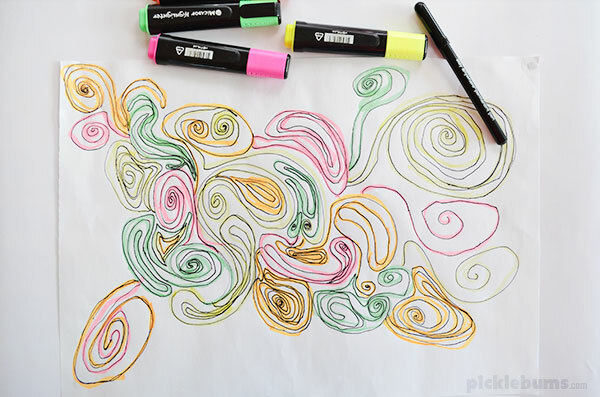 They are great fun to draw with, and their transparent colours makes it extra fun to draw over the top of marker or pencils. 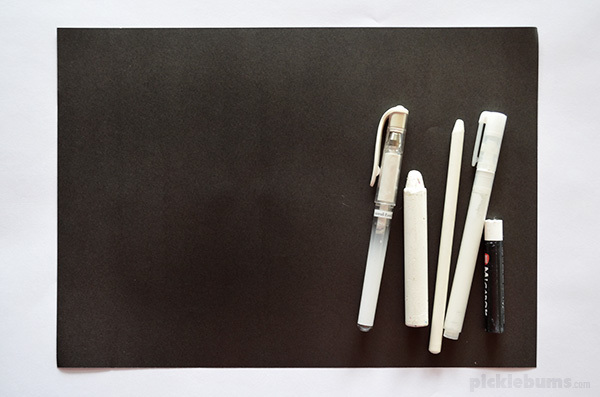 We often draw with a dark colour onto white paper, but how often do we draw with white onto black paper? This simple little switch makes for a new and interesting drawing activity. White pencils, crayons, oil pastels, gel pens etc. 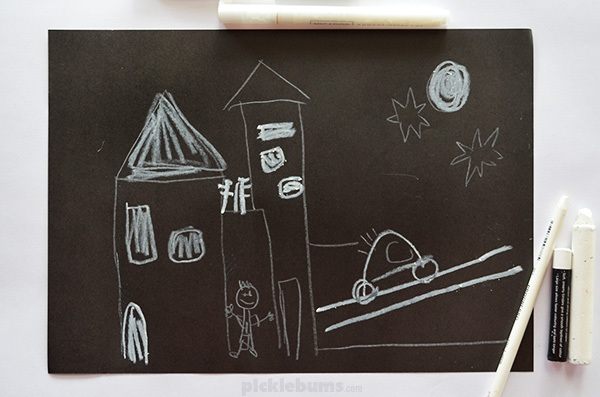 Chalk is not just for chalkboards or outside on the concrete, you can also use chalk on paper. 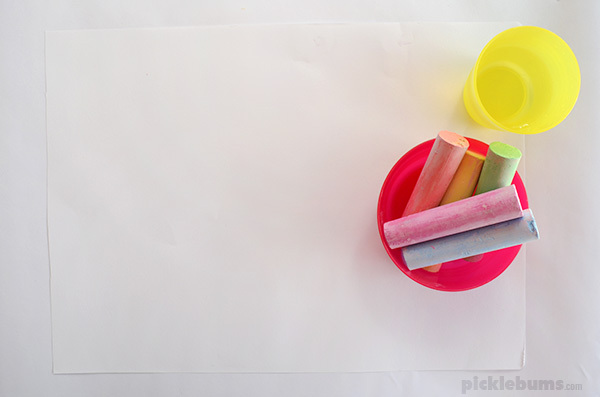 Adding a cup of water to dip the chalk into gives it an entirely different feel, and keeps the dust to a minimum. 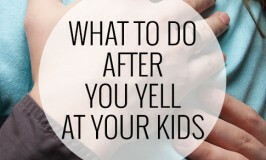 What is your favourite quick and easy activity to bring out when the kids are driving you bonkers? It’s so much easier to get out a simple activity than to constantly have to referee fights or listen to whining and complaints. When things are going to hell in a handbasket around here it’s always Legos or drawing that saves the day! What saves the day at your place? Do your kids like to draw? 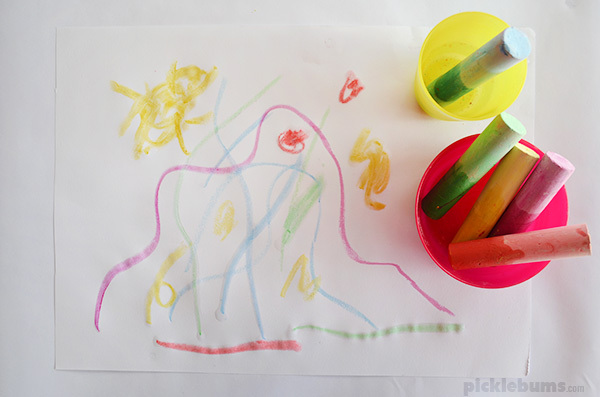 They might like one of these easy drawing activities.